Easy Fill Tire. Available only online. Amphibiformer: it �s a model of a Transformer robot that morphs into a frog for underwater traveling. 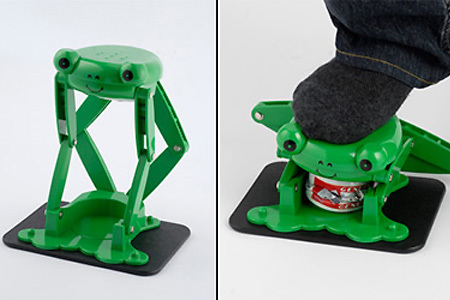 Frog-caviar-canning jack, pragmatic, acrobatic, and aromatic. @ Douglas... The KKK huh? Where�s his little hood?